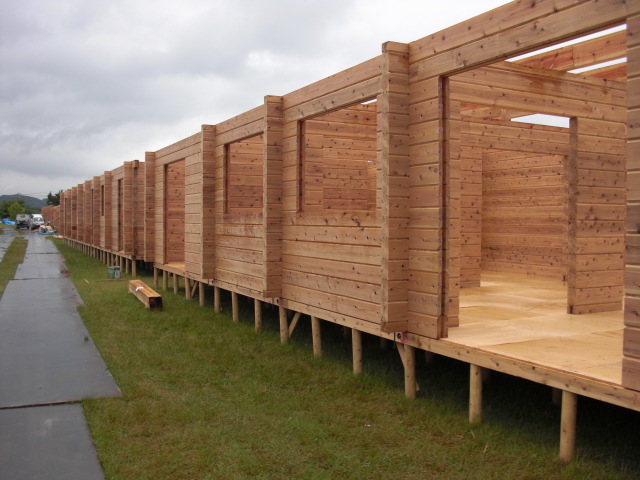 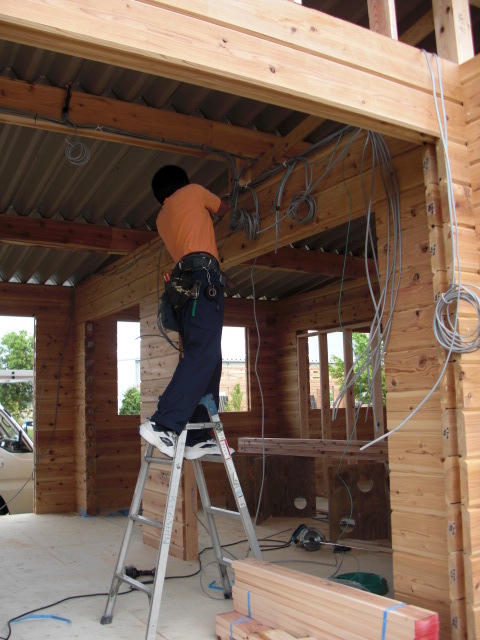 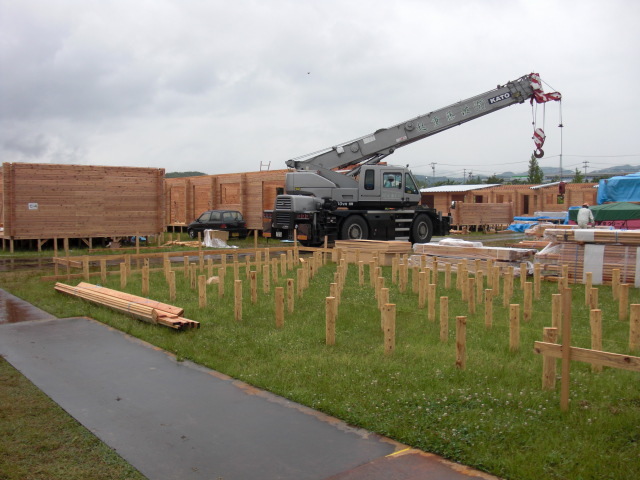 The Canada Tsuga Partners Association collaborated with KK Daitec of Iwaki City, Fukushima in developing viable alternatives to the standard Pre-Fabricated Temporary Housing units. 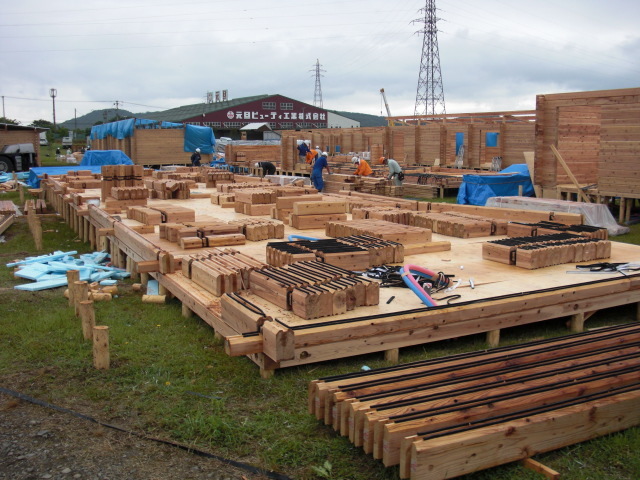 An easy to assemble and later dismantle for re-use system was developed in Square Log style that utilized local Sugi Logs combined with Floor Frame and Roof Frame system based on Canada Tsuga Warimono Structural Lumber. 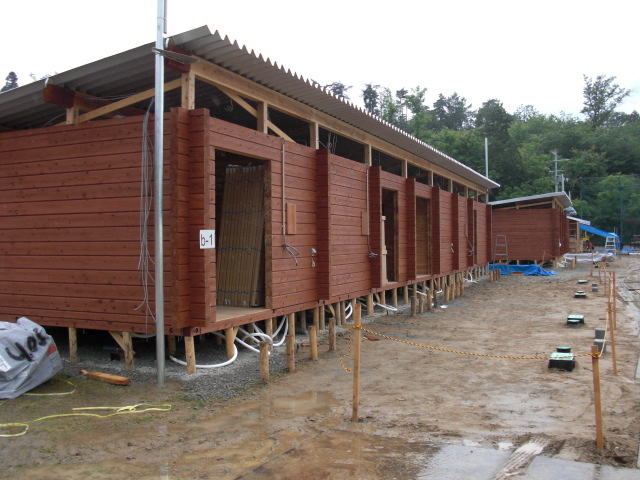 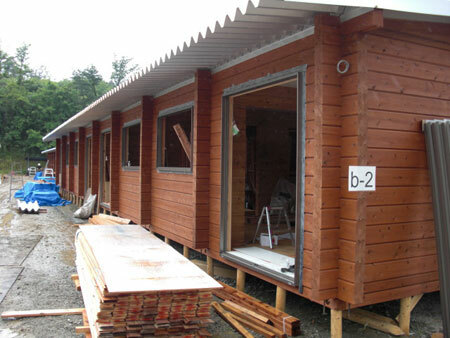 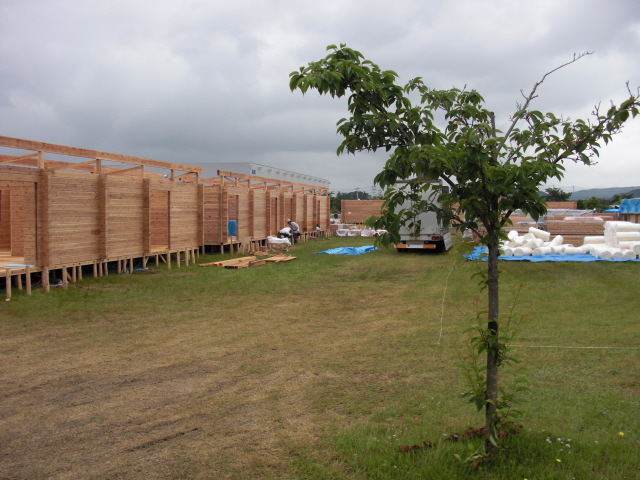 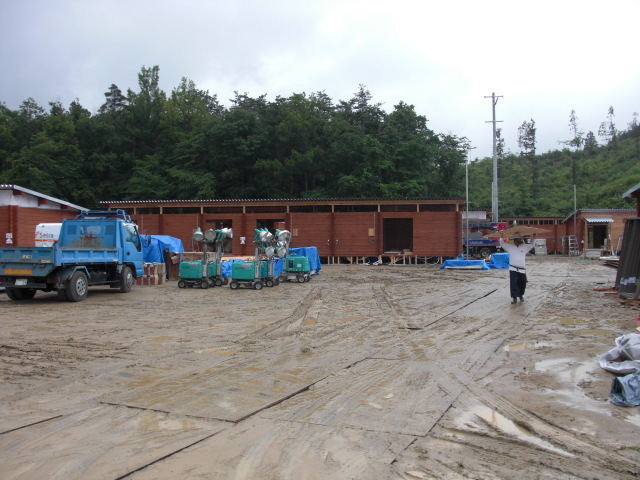 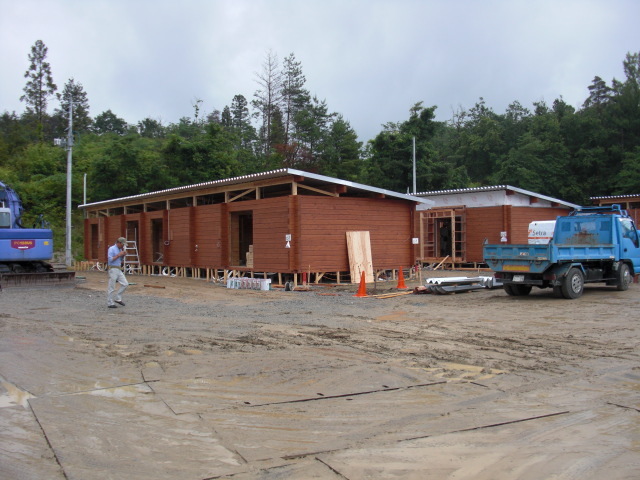 A total 580 temporary Housing Units were built in the Eastern Fukushima region between June and October 2011.